....I don't have a preference on OS. Booting right into Kodi with LibreElec/OpenElec sounds nice. If it is Mac/Win/Ubuntu and launches Kodi automatically that is fine as that is what I have now. I do not want to deal with a laggy UI. I do want it to be VERY stable. Hopefully that helps. I know there are a lot of options here! Has the most powerful SoC package vs any other ARM Single Board Computer or cheap AMLogic Android device on the market. Even tho such devices do not come in a nice case, they are so small you can hide them and simply plug in a Wireless USB Mini receiver dongle remote like a MINIX A2 Lite and you are good to go. Uses so little power you can leave on 24/7. All you need to use is eMMC 5.1 Flash storage (and its microSDHC adapter) for a nice snappy Kodi box. Also has HDMI-CEC support (which Intel/AMD misses out on) and runs a stable v4.4 Linux Kernel at the moment. It's WIP tagged because v5.x Linux Kernel support is currently being added along with HD audio and full HDR support. You are getting near NUC like performance, due to the ripper Mali T860 GPU plus fast Dual Channel RAM & eMMC flash storage at a bargain price ! The other really stable DIY option is the 'ol SDR only - ODROID C2 with quality eMMC flash storage. Easily CPU and GPU Overclocked for extra snappiness because it packs a quality heatsink. Again use a USB Mini dongle receiver Wireless remote. Can even be powered from a TV's USB port. Currently in the process of getting a v5.x Linux Kernel added this year. It's about 3/4 complete. (2019-02-11, 01:42)ontap Wrote: wrxtasy, I just want to thank you for all the advice listed in this thread, I have used numerous boxes to stream both with and without kodi over the years , but took a punt on Apple tv 4k after reading here and its completely on a different level to all those "cheap" chinese boxes I have used and thrown away, best box I have ever bought , cheers. Yes it's a wee little polished beast of a media player that will get great long term support - which is really important. More like a NUC with great Apps vs anything else. Only addition you really need is a Silicon Cover for that small slippery remote. I use the Fintie branded ones. I can grip the damn thing properly now ! Will look seriously at the RK3399 devices. Looks like the RockPro64/RockPi 4/Rock960 are all decently low priced. Unfortunately having an attractive case available may be a component of this. If I were to set this in my entertainment cabinet I imagine I would have issues getting signals to the FLIRC I would run on it. What would be your suggestion for something with a sleek look that being exposed would be okay (such as a mac mini, amazon fire tv, apple tv, etc)? If this steps up into the Nuc/Brix/Etc mini PC range, what is the model to look at there? Celeron? i3? If I were to set this in my entertainment cabinet I imagine I would have issues getting signals to the FLIRC I would run on it. 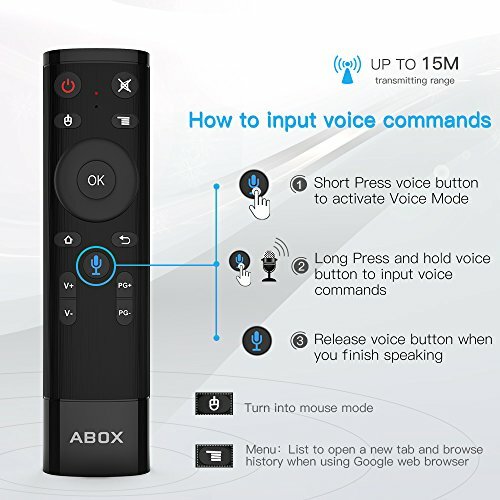 I have a FLIRC too, but do not use it because there are better, more responsive Wireless remote options available like the Mini Keyboard MINIX A2 Lite. The Keyboard comes in real handy for Kodi keyboard shortcuts after long term usage. No more missed button pressings and no line of sight Infra Red issues. I've also added support to my personal LibreELEC Leia to the Blutooth version of THIS (click) cheap remote. All that is needed is a CSR v4.x Bluetooth USB dongle if using a Rockchip board. It's lightning quick that combo. You may be able to find cheaper DIY Apollo Lake or better NUC type hardware, but Apollo is all you would personally need for 1080p SDR. Apollo Lake with Intel Graphics 500 (click) -->>> onwards can easily handle all the modern video compression standards. You need Main10 HEVC hardware decode support - even for 1080p stuff these days. HERE is Kodi's Apollo Lake thread. And THIS is good advice from @fritsch when it comes to Intel Hardware and Kodi. I need to stick with the FLIRC as I have a Harmony remote I use with that and the rest of my AV system. So where would you stack the RK3399/ODROID C2 vs the Apollo Lake (or Gemini Lake) MINIX/NUC units in the Pentium/Celeron class? I am so trained to turn down my nose at a Pentium/Celeron that I instinctively think they aren't good for anything, but are they generally overall more powerful than the RK3399/ODROID C2 for CPU and GPU? Follow that Intel Graphics 500 link and have a look at all the video compression standards that the G P U's in the Apollo Lake Intel hardware supports. The only video content you might find unsupported is non standard 1080p 10bit h264 aka Hi10P Anime which needs CPU Software decoding on Intel. You do not need a powerful CPU package to hardware decode video which is the main job of a Kodi media player. I fact the C P U is hardly used, you are not running a Windows Desktop PC number crunching a Spreadsheet or use it as a software compiling machine. In fact, if you are running the lean and mean, minimal Linux based LibreELEC OS - it hardly requires any hardware resource at all, apart from a decent GPU. You are not running a hardware demanding, bloated Windows OS. Ask @fritsch over in the Apollo Lake thread how well his Apollo setup works for LibreELEC Kodi. Recent Intel / AMD hardware will definitely have a snappier Kodi user interface vs dirt cheap ARM Chipsets when using Kodi. They have faster Single (CPU) threaded Python Addon and Skins performance. The more powerful Intel AMD hardware, the faster Skins and Addon performance will be. My 2.7GHz i5 Intel Mac currently struggles to CPU software decode test YouTube test AV1 content. Intel Apollo Lake onwards will be more stable vs Rockchip for LibreELEC, simply because Rockchip is transitioning to a new v5.x Linux Kernel this year. Rockchip will be better bang for the buck and would satisfy 99% of 1080p SDR Kodi media player users, especially once it gets HD audio passthrough support. It's pretty snappy & stable for me running LibreELEC Leia on a v4.4 Kernel. My RK3399 development board can CPU software decode any 1080p content I throw at it, inc h264 Bluray Rips and low bitrate 10bit HEVC - I do not know what the equivalent Intel hardware is for that sort of CPU decode performance. I don't not want to do CPU software decoding with RK3399 because the GPU easily hardware decodes a wider range of (4K) content, inc. Hi10P. In the end the question is - how fast is fast enough - for any sort of hardware when used as a daily Kodi media player ? Recent ARM multicore CPU's & powerful GPU's like you find in the Apple TV 4K, AMLogic S912's and RK3399's are fast enough for me personally for the price paid. ARM Chipset based NVIDIA Shield owners are not complaining either. Other "power (Intel) users" will disagree ! The Netflix and HBO Apps are NOT being dropped, that would be suicide for any relativively expensive media player. It's that they have restricted functionality when interacting with Apple's "TV" App which helps users track content viewing status and new content availability. Apple wants to centralize such viewing data so you do not have to open each individual App to see new content and watched status. Netflix and HBO do not want to share such data - it's too valuable to those companies. In fact Big Data collection and analysis is one of the keys to Netflix's successful business. Apple are also launching some sort of new video streaming service Addon functionality where they aim to allow users to subscribe to different streaming services all thru the one App. So theoretically you could channel surf such video streaming services all from within a single App. Or each box has specific ir code set ? I am an avid movie/kodi fan and have been playing with various TV boxes over the years. In the past years we have come settled on 2 supplies being Geniatech (Manufactures of the MyGica range) and Himedia and would like to share our findings. The most stable and user friendly box has been the Himedia A5 with Amlogic S912 processor. The Himedia Q5/Q10 are brilliant boxes in picture quality and sound quality and is superior than the A5 in both picture and sound. But in terms of stability the A5 using Kodi, and I use the Xconfluence Skin which tends to put more strain on the processor still just surpasses the Q5/Q10. So we thought that MyGica 1960Pro would be superior considering it has 3g Ram compared to the Himedia Q5. But we actually found it crashes in Kodi and they have locked the picture frames, so you not going to get full screen picture. Hence not convinced on the MyGica 1960 Pro thought it does have nice 2.5" internal HDD feature. Our choice at end of day is the Himedia A5. There are some drawbacks to the A5. It cannot play 4K HDR 10bit H265. For this the Q5/Q10 does well. I hope this year that Himedia will be coming out with the new Amlogic S922 processor version. (2019-02-17, 13:25)Ajay1234 Wrote: I am an avid movie/kodi fan and have been playing with various TV boxes over the years. In the past years we have come settled on 2 supplies being Geniatech (Manufactures of the MyGica range) and Himedia and would like to share our findings. Welcome to the Kodi forums. You have not tapped the potential of a S912 media player yet for Kodi, because you have been living in Android Land. Unshackle it's potential and you will easily get 4K HDR with up to Atmos audio and autoswitching everything....same goes for that MyGica box of it's an S905X / S912. This will give you an easy to use dual boot setup with CoreELEC running entirely from the microSDHC. All other support over on the CoreELEC forums. Hello guys, i have Libreelec installed on Pi 3 plus, a Mecool m8s pro plus, (s905x) and in a intel laptop (i3 7100 Kaby Lake). The KabyLake can bypass 24bits, the audio feels much more crispier/detailed and punchier the image quality is just like the pi. We are talking about HW decoding here so the image quality shouldn't be the same in these 3 processors?? ins't the same thing asking wich language is better? am im doing something wrong with the 905x? what about the sound? I'm not into 4k yet, need to upgrade my receiver so i am talking about 1080p remuxes. is it possbile that the mecool box is a bad model? The laptop at the moment is a fixer, i can connect it to the receiver turn on libreelec and with a remote dongle play or the cellphone play with it. Is anyone experience these symptons with the s905x? is the rockchip s3399 the way to go? (2019-02-17, 17:56)bizuka Wrote: Hello guys, i have Libreelec installed on Pi 3 plus, a Mecool m8s pro plus, (s905x) and in a intel laptop (i3 7100 Kaby Lake). Is anyone experience these symptoms with the s905x? is the rockchip s3399 the way to go? Washed out colors does not sound right at all. S905X is virtually the same 1080p picture quality as my RK3399 and Apple TV 4K for me. Passthrough audio should be fine as well. For LPCM set Kodi audio to 7.1 channels & best match, not sure exactly what bit depth you will get. I would install the latest CoreELEC Kodi Leia build - it will have auto detect - bit depth and colorspace switching based on AVR and TV's EDID handshake. If you want to do a quick LE > CE upgrade. Simply rename the SD card to CoreELEC and unpack the latest CE .tar 9.0 release and copy over the SYSTEM & KERNEL (rename to kernel.img) files manually to the SD card.